Mount Aso is the central attraction of Aso-Kuju National Park, Kumamoto Prefecture on the island of Kyushu. Rising to an elevation of 1,592 meters (5,223 feet), Mount Aso has the largest active crater in the world. The crater measures 18 kilometers (11 miles) from east to west and 24 kilometers (15 miles) from north to south. 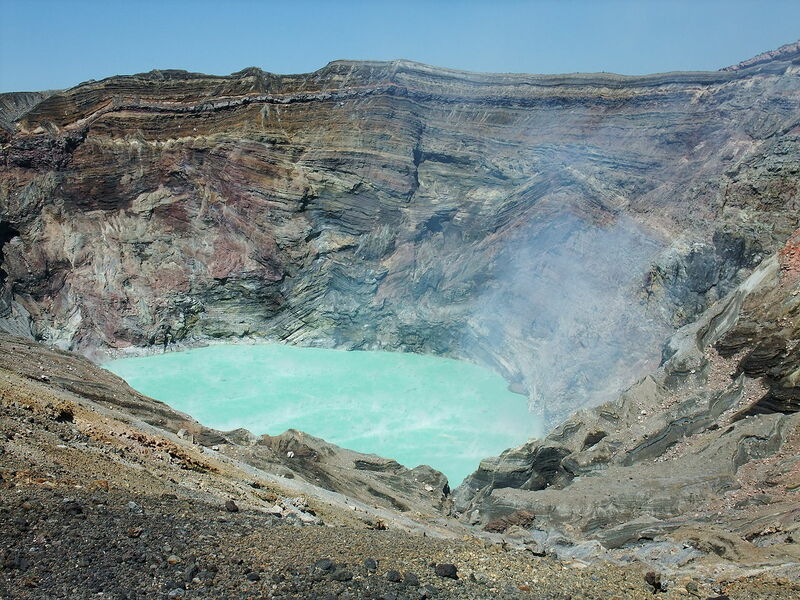 It has the world's largest caldera (bowl-shaped volcanic depression) which marks the original crater and contains the active volcano of Nakadake and numerous hot springs. Nakadake is still active and regularly emits volcanic smoke and ash. There are roads and railways in the crater, and its mountain pastures are used for cattle raising and dairy farming. 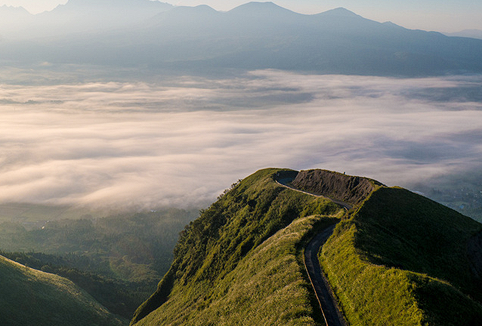 For more information about Mt Aso please see our travel content partner Japan-Guide. Welcome to Aso Plaza Hotel. 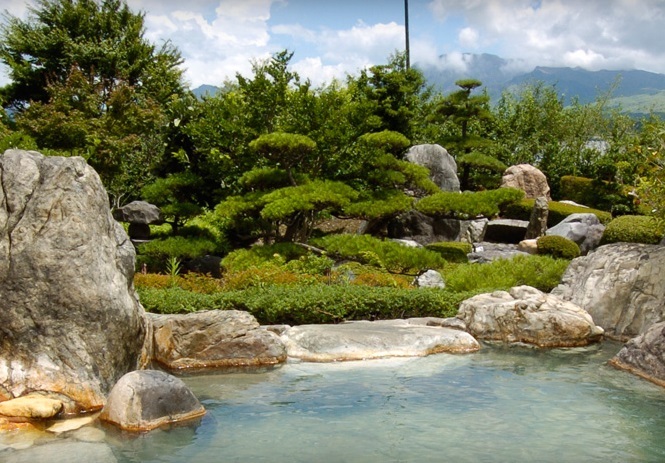 Come and enjoy the relaxing atmosphere of a hot spring town. 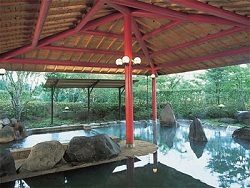 You can enjoy a panoramic view of five peaks of Mount Aso while relaxing in hot spring baths on the 7th floor. Aso Plaza Hotel serves seasonal ingredients. The gallery of antiquities in the ample lobby will relieve the tiredness from your journey. 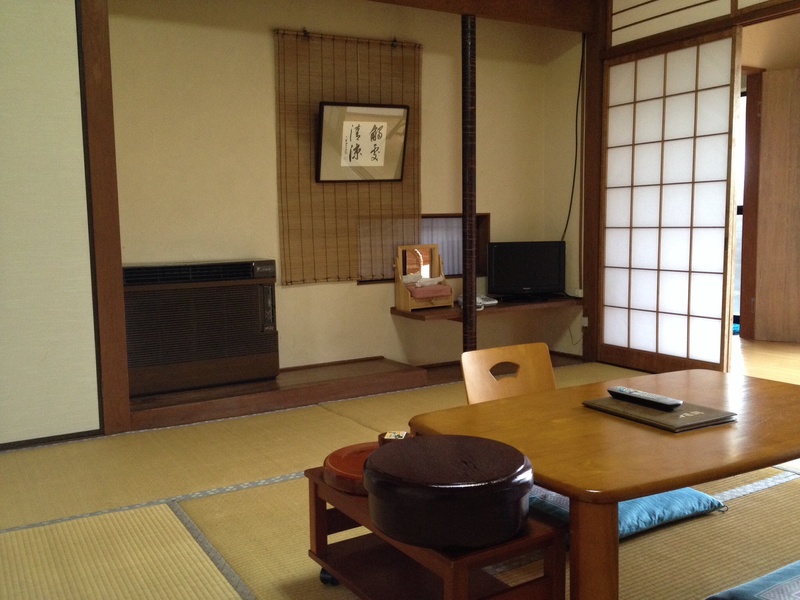 Warning: this ryokan is located far outside of Aso city center. 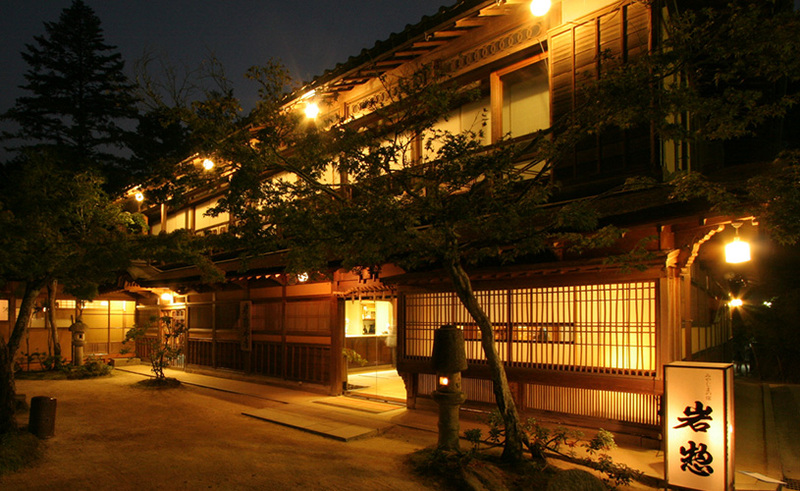 Welcome to Tsuetate Kanko Hotel Hizenya. It's is a unique resort hotel standing on the border between Oita and Kumamoto prefectures. Since all rooms face a clear stream of the Tsuetate River, you can enjoy a view of primary forests on the other side of the river from your room. 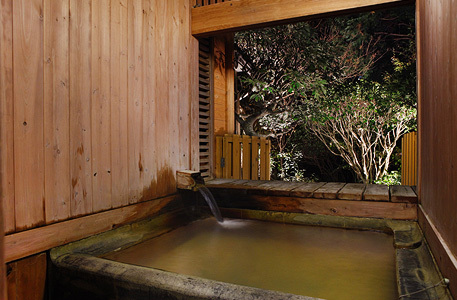 Tsuetate Kanko Hotel Hizenya hot spring water is silky smooth, and it has various types of well-equipped spa facilities. Welcome to Aso No Tsukasa Villa Park Hotel. It's a European style hotel full of flowers and arts. 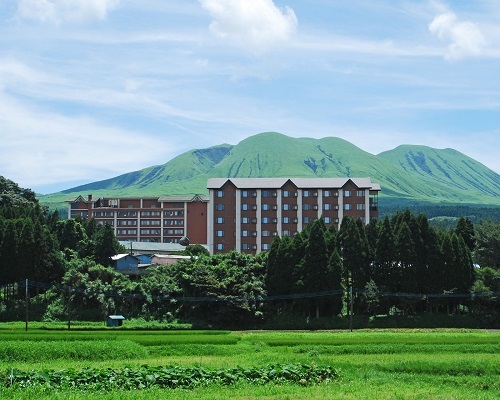 It is along the Route 67 and you can enjoy the superb views of Aso mountains. 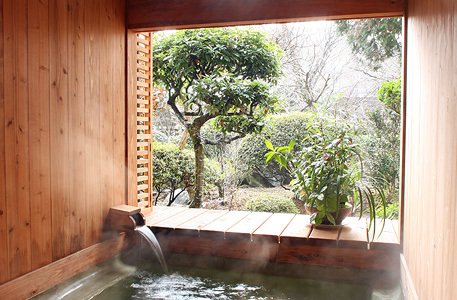 Please feel relaxed in its 16 kinds of hot spring baths all year around.